This Stanley foldable hand truck is a compact and easy-to-use transport trolley, specially designed for moving large objects. 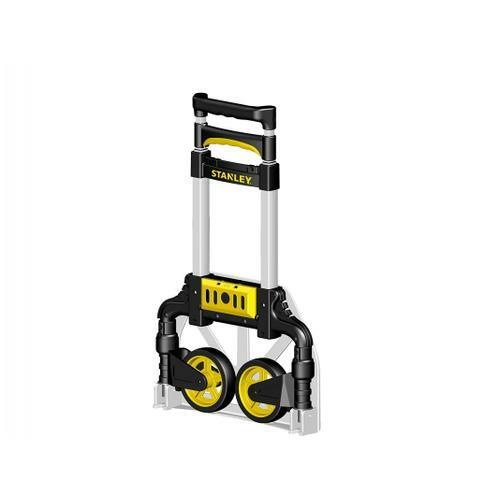 The hand truck has a durable aluminum frame and the plastic points with the most tension are made of durable nylon, while the other plastic parts are made of polypropylene. The trolley is lightweight, but has a maximum load capacity of 60 kg. Thanks to the adjustable handle with soft grip and rubber wheels with ball bearings, the hand truck can be moved easily and quietly. The hand truck fits almost everywhere, making it easy to transport and store. When folded, the hand truck can be stored in garages, cupboards and under furniture without taking up too much space. 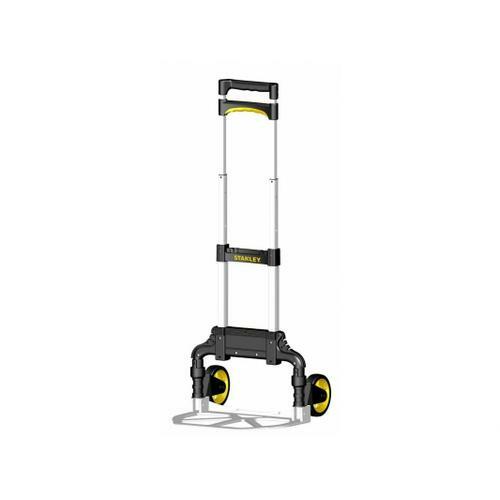 The hand truck is delivered completely assembled, so that you can use it immediately. It is easy to fold in and out in seconds and includes a handy seat belt in the integrated storage compartment.